Chief of Police Emil Johnson was killed in a motorcycle crash while attempting to stop a speeding motorist. 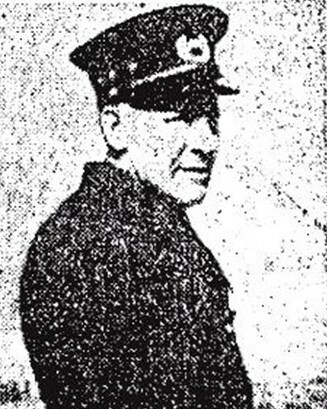 Patrolman Nels Christy, who was riding in the motorcycle's sidecar, survived the crash but was killed in the line of duty in a separate motorcycle crash on July 2nd, 1930. Chief Johnson had served with the Elmwood Park Police Department for seven years. He was survived by his wife and two children. Chief Johnson's story was read in Richton Park Police Department's roll call on 11-29-16 to honor him.